Samsung will unveil its hotly anticipated Galaxy Tab 10.1 Android tablet in Australia early next month, following an invitation sent to the media for the launch of the "exciting new tablet" on 11 August. Described by Samsung as "the world's thinnest mobile tablet", the Galaxy Tab 10.1 measures just 8.6 millimetres thick and weighs 565g grams, making it both thinner and lighter than Apple's iPad 2. Samsung says the Galaxy Tab 10.1's ultra-thin form factor, lightweight design and large screen is targeted at consumers who want a focus on entertainment. The Samsung Galaxy Tab 10.1 is powered by a 1GHz dual-core processor, has a capacitive touchscreen display with a 1280x800 resolution and features Bluetooth, Wi-Fi and GPS connectivity. The Galaxy Tab 10.1 also features a 3 megapixel rear camera and a 2 megapixel front camera, is capable of recording 720p HD video, but it does not have a microSD card slot for extra memory. 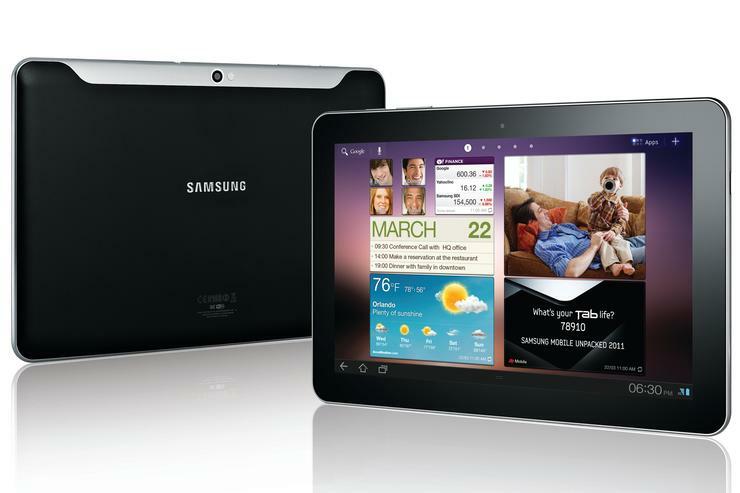 The Samsung Galaxy Tab 10.1 will come in six model variants — three with Wi-Fi and three with Wi-Fi + 3G. Both Wi-Fi and Wi-Fi + 3G variants will be available with 16GB, 32GB or 64GB of internal memory, though its not known whether all of these variants will be sold in Australia. The Galaxy Tab 10.1 is likely to be sold through carriers. The new Galaxy Tab 10.1 is not to be confused with the Galaxy Tab 10.1v, which launched exclusively through Vodafone back in April. It was stocked in limited supply and is no longer available for sale. Unlike the Galaxy Tab 10.1v, the Galaxy Tab 10.1 features Samsung's own TouchWiz UX user interface implemented on top of the Android 'Honeycomb' platform. This makes it among the first Android tablets to run a customised version of Google's Honeycomb operating system for tablets. The TouchWiz UI brings a number of new features to the Galaxy Tab 10.1 including a customisable "Live Panel" menu that displays favourite Web sites and social network feeds, an application tray of commonly used features, Samsung's Social Hub, which aggregates e-mail, instant messaging, contacts, calendar and social network connections, a mini apps tray and a "suite of enterprise solutions" for business users. The Samsung Galaxy Tab 10.1 is also pre-loaded with Readers Hub and Music Hub applications that offer more than 2.2 million books, 2000 newspapers in 49 languages, 2300 magazines in 22 languages, and 13 million songs. Along with the new Galaxy Tab 10.1, Samsung is also expected to launch the smaller Galaxy Tab 8.9 in Australia in the coming months.